WorldClassRoom FAQs - How do I copy course materials from one section to another in web-enhanced courses? Faculty who use Canvas to enhance their face-to-face courses can now copy course content from section to section. 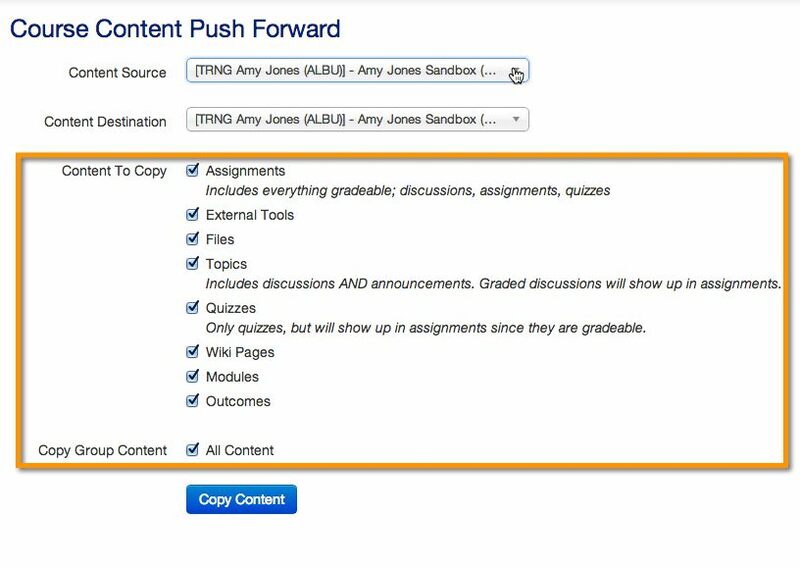 The Canvas Content Push tool allows faculty members to access web-enhanced courses to which they are assigned as the instructor, and copy the content from section to section. Please Note: Content in a fully online course follows the Master/Clone model and cannot be copied from section to section. For clarification on the Master/Clone model or more information about preparing your online course for a new term, contact the Online Learning Center at olc@webster.edu. 2. 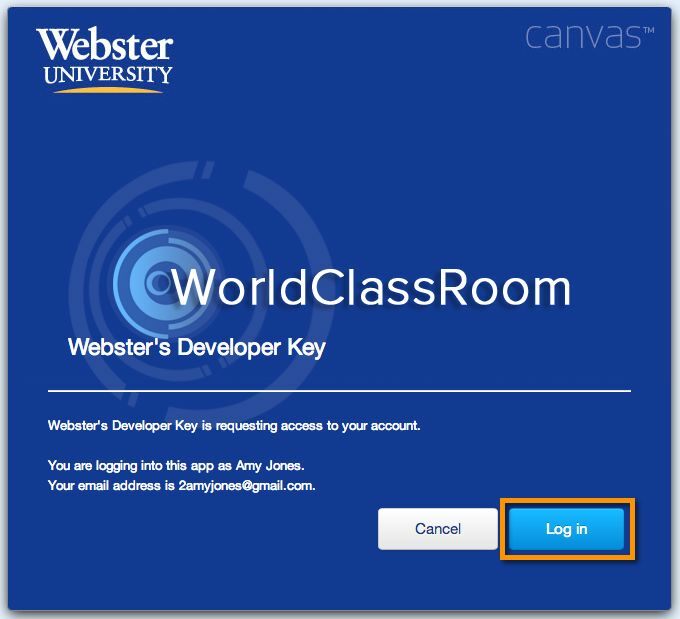 Click Login (upper right) to access the WorldClassRoom Tools login page . 3. 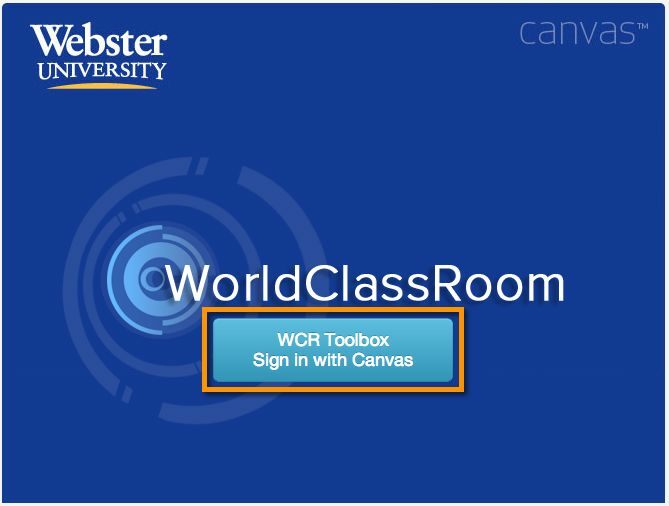 Click the blue WCR Toolbox Sign in with Canvas button (bottom center). 4. 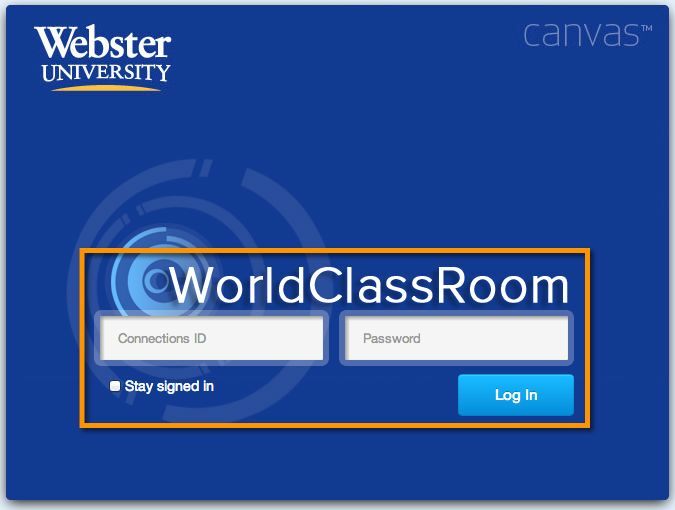 The WorldClassRoom login screen appears. Enter your Connections ID and password. 5. The Developer Key screen appears. Click Login (bottom right). 6. Click Content Push on the left sidebar. 7. Choose the Content Source - the course you would like to copy the materials from. 8. Choose the Content Destination – the course you would like to copy the materials into. 9. Check the boxes next to the course materials you would like to copy. 10. Click the blue Copy Content button. 11. Monitor the copying progress. Copying will take longer for courses that contain large files or many components. 12. When copying is completed, click Go To Course to visit the course that you copied content into. How do I add students to my online or web enhanced course?